This article shows you that how to install and configure Neutron Openstack Networking Service on compute node. 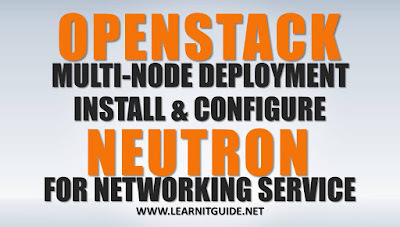 In the previous posts, we explained you how to install and configure Neutron Openstack Networking service on controller node and also we have covered the below topics which also a main part of the whole Openstack Deployment.Refer those links also to understand this topics from beginning. 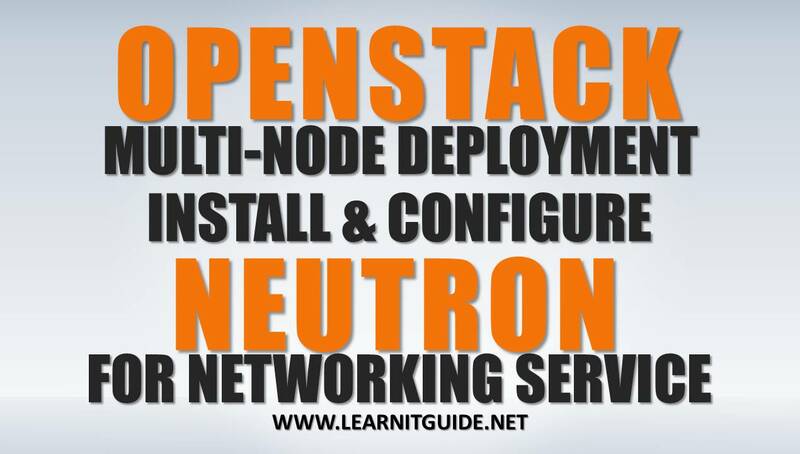 Continue with the previous post, we will explain you how to install and configure Neutron Openstack networking components on compute node (node2). Installation and Configuration of Neutron networking service on Node2 (Compute node). Install the required packages of Neutron Network component on compute node. Comment out any connection options in the [database] section, because compute nodes do not directly access the database. Replace 'node1' with your controller host name and replace 'openstack' and 'redhat' with the username and password you chose for the openstack account in RabbitMQ. Configure Identity service access and Comment out or remove any other options in the [keystone_authtoken] section. Before configuring the neutron service, We must choose any one of the following network option to configure services specific to it. We prefer to go with option 2, self service networks. Replace 'enp0s8' with the name of the underlying physical public network interface. Replace '192.168.2.2' with the IP address of the underlying physical network interface that handles overlay networks. we have done the changes on compute service, so lets restart it. Start the Linux bridge agent. The above output would list you the agents running on the each nodes.